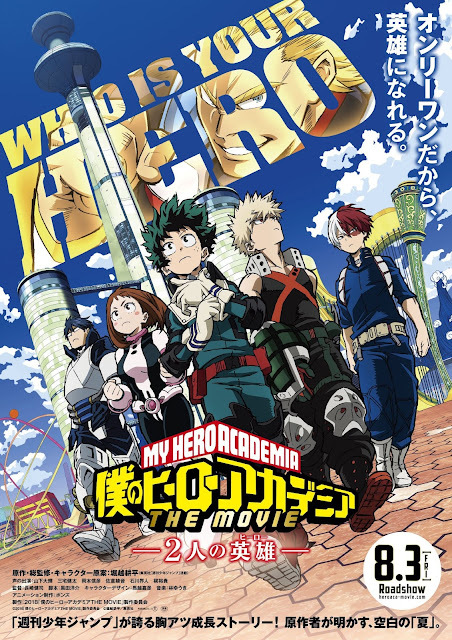 PennsylvAsia: My Hero Academia: Two Heroes (僕のヒーローアカデミア THE MOVIE ～２人の英雄) continues in Pittsburgh, October 4 and 6. My Hero Academia: Two Heroes (僕のヒーローアカデミア THE MOVIE ～２人の英雄) continues in Pittsburgh, October 4 and 6. The anime smash hit that’s swept the world now makes its debut on the big screen! Our favorite young hero-in-training is in for a wild ride when villains threaten the artificial moving city, I-Island. Deku and All Might receive an invitation to I-Expo, the world’s leading exhibition of Quirk abilities and hero item innovations!Amid the excitement, sponsors, and pros from all over, Deku meets Melissa, a girl who is Quirkless just like he once was. Suddenly, I-Expo’s top-of-the-line security system gets hacked by villains, and a sinister plan is set in motion. It’s a serious threat to hero society, and one man holds the key to it all—the symbol of peace, All Might. The movie will play at the Cinemark theater in Pittsburgh Mills and Southside Works Cinema on the 4th and 6th, and at the Hollywood Theater twice on the 6th. Tickets are available online.